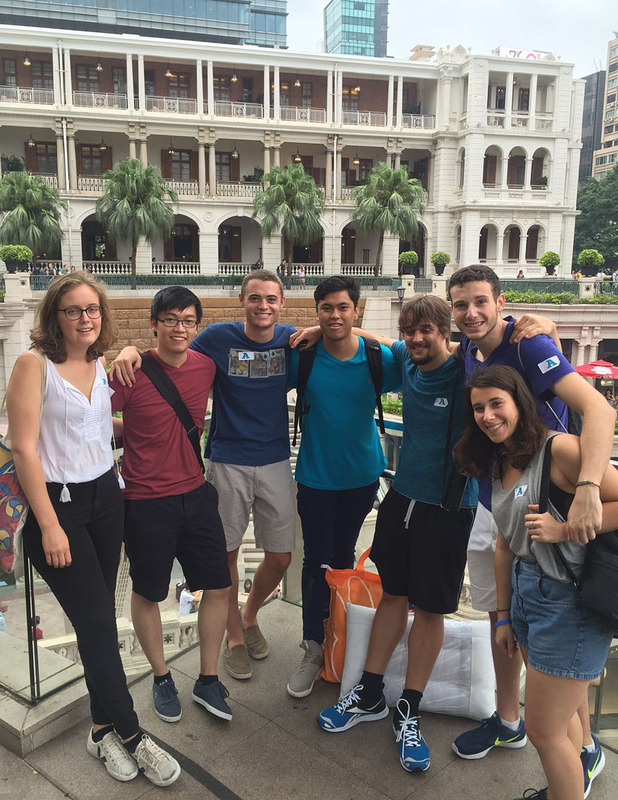 “I made friends from all over the world,” says Adam Aboudi, second from left, who studied abroad at Hong Kong University of Science and Technology during his fall 2016 semester. Adam Aboudi ’17, a computer science major, wanted to expand his experiences and challenge himself. Where better to do that, than Hong Kong during the fall semester of 2016? Two of his courses at Hong Kong University of Science and Technology (HKUST) satisfied requirements for his major, and he also took classes for general credit. “Any engineer would find more than enough options at HKUST,” he says. When not doing classwork, Adam was able to “visit many places I never would have imagined before -- Japan, Thailand, Cambodia, Macau, Taiwan. I made friends from all over the world, especially Europe,” he says. His most memorable experiences, however, involved hiking around Hong Kong. “No where else I've been can you be hiking up a mountain one minute, and in a fancy mall the next. The views from the tops of the mountains were incredible,” Adam says. Planning his study abroad semester was relatively easy, he adds, “mostly just getting some papers signed.” Adam worked with Ted Pagano in the University’s Center for Study Abroad office; Pagano, in fact, was the one who suggested Hong Kong and connected Adam with other Rochester students who had studied there. 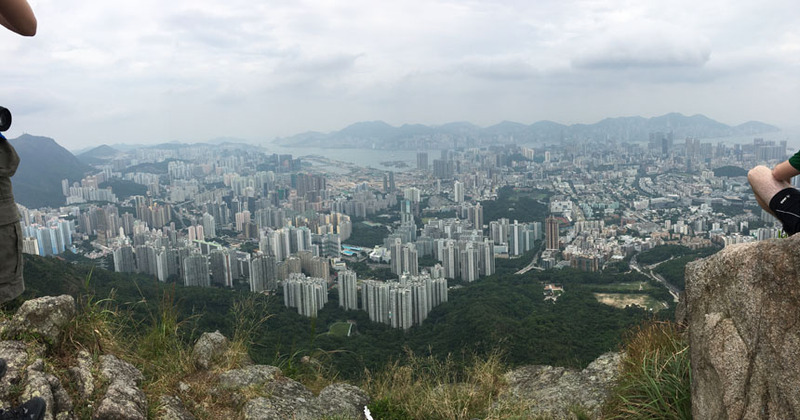 "The views from the tops of the mountains were incredible,” says Adam Aboudi, who studied abroad in Hong Kong during his fall semester of 2016. Below, the skyline at night.